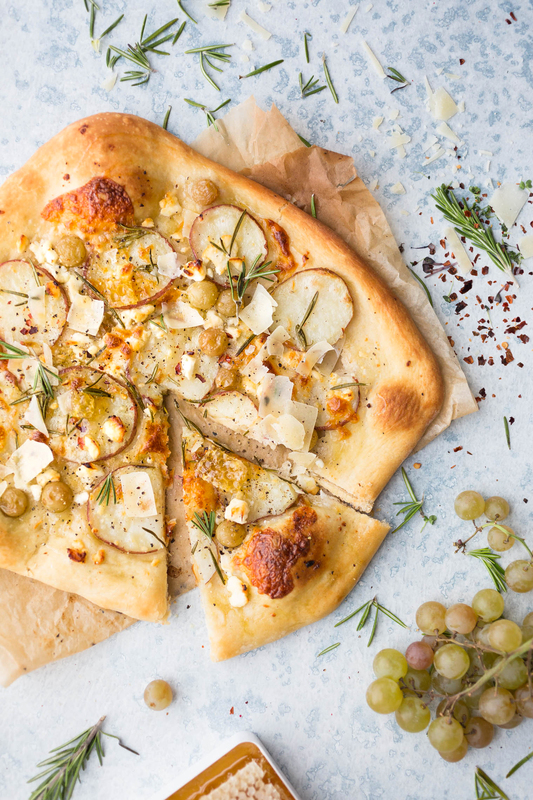 This homemade Sweet and Savory Vegetarian Potato Grape and Rosemary Pizza Recipe is the perfect meat-free weeknight dinner! Anyone else beyond excited for spring produce? I feel like a little kid anxiously waiting for their birthday that is still weeks away. The weather feels like spring and my body is begging for a crisp spring salad but my garden is still all soil. I’m trying to give winter it’s one last hurrah while I (not so) patiently wait by incorporating winter ingredients into things that my taste buds just cannot resist, no matter how much they are over winter: pizza, pasta, and well…more pizza. That brings me to this gem I’m sharing today; this Potato Grape and Rosemary pizza skips the heavy tomato sauce for a light rosemary-infused olive oil spread over a crispy crust that is then topped with thinly sliced boiled tomatoes, juicy tart grapes, savory provolone, and salty Parmesan. It’s all garnished with more rosemary, a hint of heat from red pepper flakes, and the tiniest bit of sweet from a drizzle of honey. 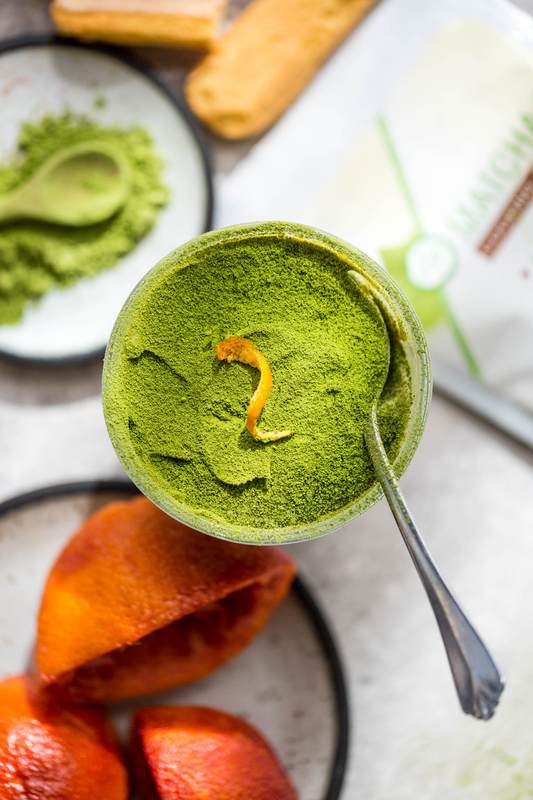 It has a lot going on all while perfectly balancing the irresistibly addicting sweet and savory flavor we’ve all come to crave (or maybe that’s just me craving it?). 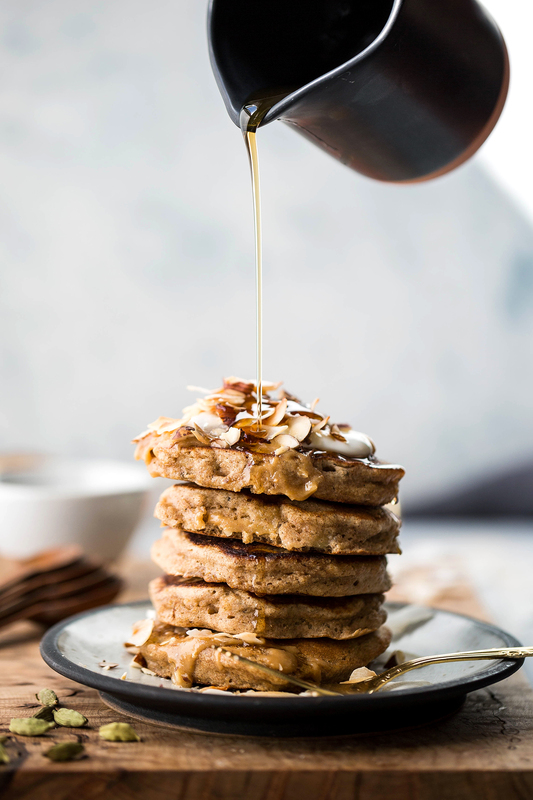 These Healthy Cardamom Banana Bread Pancakes pack an extra punch of flavor! Perfect for a quick breakfast or lazy brunch any day of the week. I’ve felt a bit torn lately. To be completely honest, between writing the book, traveling, freelance, keeping up with VV, building a magazine, and working at the music distro, I’ve been really busy the last few years. It hasn’t been the kind of busy I dread or hate but more a sense of feeling in my element and thriving on creating rewarding work. Despite really enjoying all of this, I did start to feel the constant stress of having a huge to-do list in my clenched jaw, my tight shoulders, and my slight weight gain (although I think I could chalk that up to a slowing metabolism as I inch closer and closer to 30). Sometime towards the end of last year, I decided I would finish up some of these projects and not book new ones. I decided to make a goal that come the new year, I would pair down my life to enjoy the “little things”. January came and went in the busy haze that I’ve become use to. But then upon returning from California last month, I’ve began trying this whole “slowing down” and enjoying the little moments. Today’s recipe comes from Laura Wright’s new cookbook, The First Mess cookbook. I should warn you ahead of time that I may get a little fan girl in this post since I’ve been a huge fan of The First Mess since I got into blogging 5+ years ago. 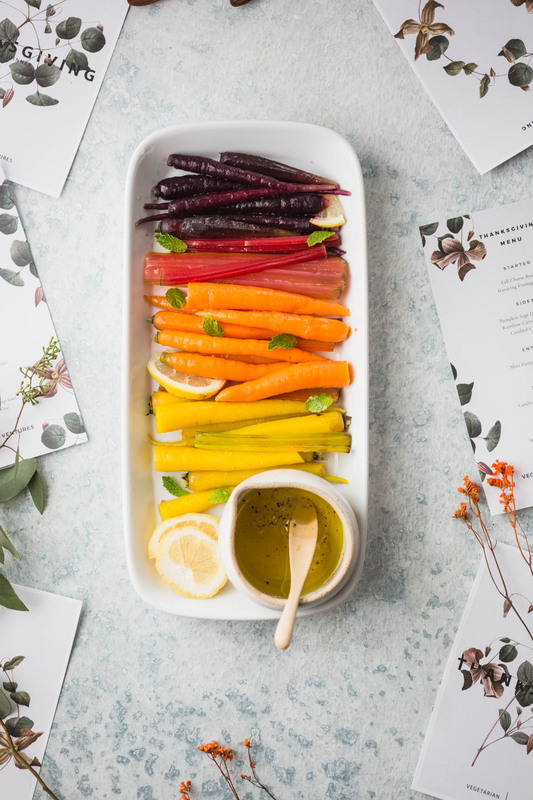 Laura has this way of making vibey plant-based recipes so flawlessly accessible that you can’t help but want to try them all. She manages to make these amazing healthy drinks and meals that feel like the perfect balance between something you’d find in a new issue of Bon Appetit and your hippie neighbor’s potion cabinet. 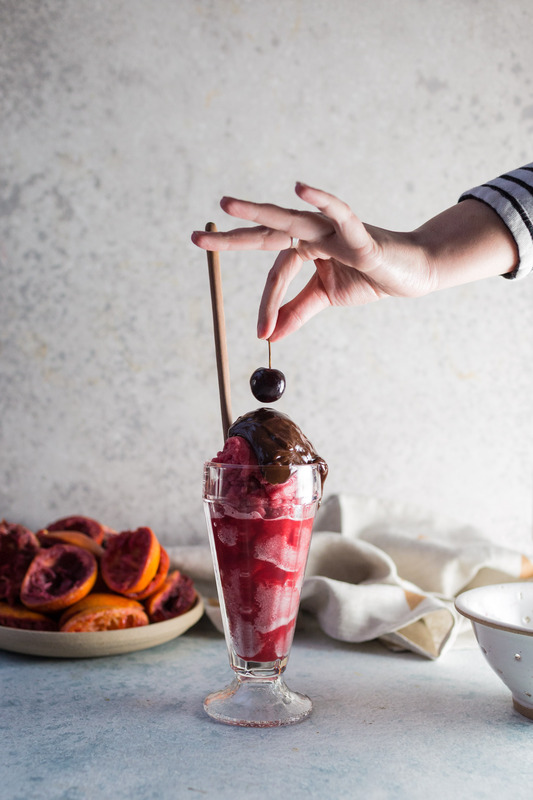 This Blood Orange Sorbet with Red Wine Hot Fudge Sauce recipe is perfect for Valentine’s Day or to make after a romantic dinner at home. Let’s talk about Valentine’s Day! I’m obviously not the super cutesy, deck the house out in pink kind of person (as you can tell by my somewhat normal photos for this post). I do, despite not getting super into the spirit of it, enjoy setting aside an evening to just hang out with Wyatt. After being together for almost seven years, it’s good to have a reminder to spend some romantic time together. For the first few years, we’d cook together on Valentine’s Day. Then it turned into me cooking for him. And now we are at the point where we just get pizza from our favorite place (they make it heart shaped on Valentine’s Day) and make a dessert together. I’ve really learned to love this routine – when I cook every night, taking a break and ordering take-out feels like such a wonderful treat. 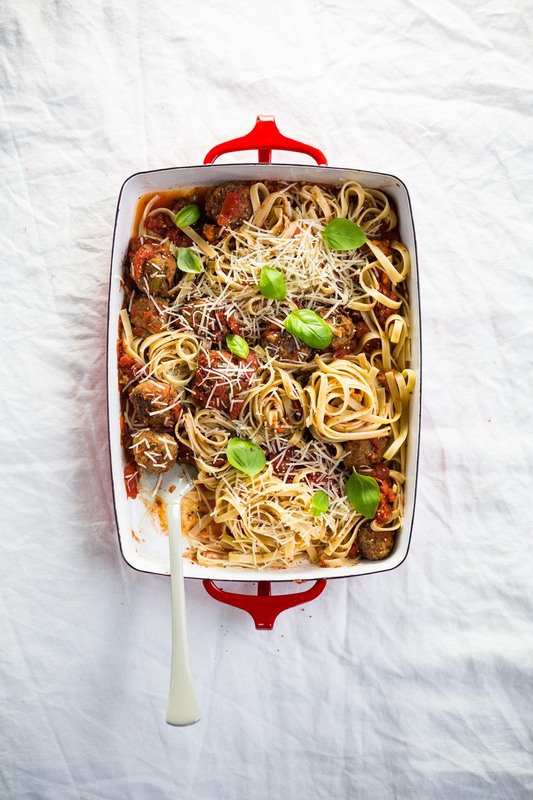 These Healthy Vegetarian Lentil-Walnut Meatballs are the perfect meat-free meal. Serve them with spaghetti and your favorite tomato sauce for a hearty main. Hiiii! I’ve got ANOTHER veg main for you all today (BOOYAHH – take THAT New Year’s resolution). I’ve been spending a lot of my free time this month cooking up homemade meals (hellooo irresistible chili and addictive tacos), listening to inspirational podcasts while getting my steps in (gotta please that Fitbit), and snuggling under the covers on the couch with my boxer pup and a feel-good novel. What have you been up to to curb the winter blues? Creamy Vegetarian White Chili recipe that is cozy and filling (with vegan option). 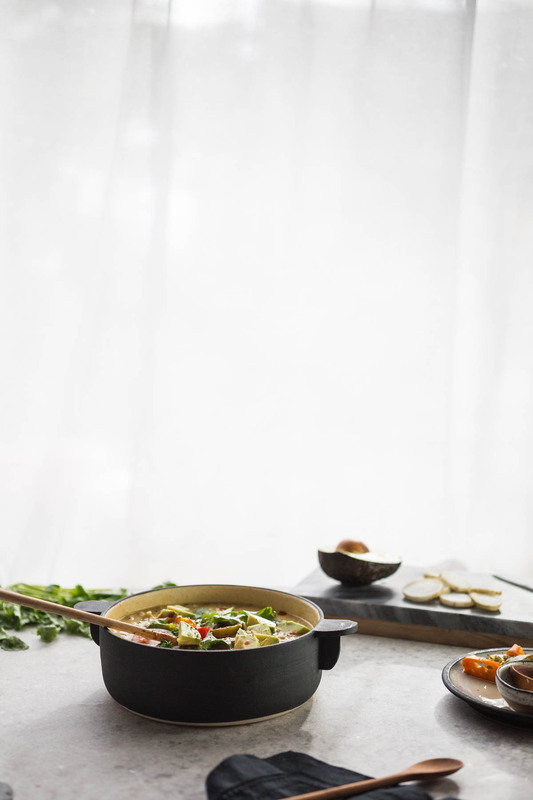 Ideal for healthy weeknight meals or chilly afternoons. First post of 2017 – woot woot! How are you all feeling? Refreshed? Excited? Or overwhelmed at the thought of all the things you put off at the end of 2016? I’m honestly feeling a little bit of all three. Instead of getting a head start on my taxes and working ahead on freelance projects, I’ve been spending most of my free time researching what to do / eat / see on our west coast trip next month. I’m what you would call a bit of an over-planner (and really love it) so I have an Evernote going of our trip that is broken up into 4 hours segments (yup – I’m crazy, I know). Is it too crazy to plan 3 breakfasts in one day? Because the brunch scene in SF seems pretty insane according to Pinterest. Also, got any suggestions for us? Where are the best vegetarian places to eat in SF and LA? Please let me know because I don’t want to miss ANYTHING! Okay, now back to why you came here – this Creamy Vegetarian White Chili! One of my 2017 goals is to share more vegetarian main recipes with you all and this chili fits the bill. I make this vegetarian chili recipe often in the winter and was honestly starting to fill a bit burnt out on it. Then, the other week, I came across this chicken white chili recipe and just knew I had to develop a veg version. Honestly, I didn’t even know ‘white chili’ was a thing until I saw this recipe! All the amazing flavor and spices of chili + creaminess? Sign me up! And you know what? It didn’t disappoint. 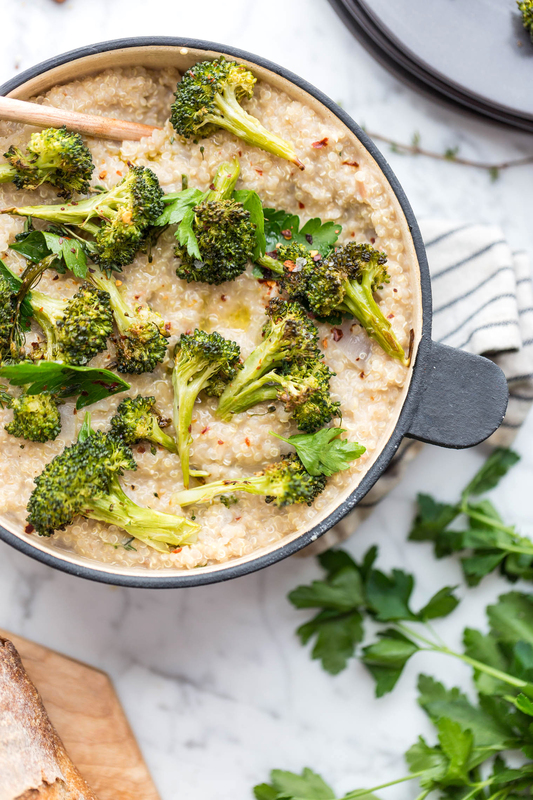 Loaded with tons of nutrient-rich veggies, protein-packed beans, and flavorful spices, I can already tell this is going to become a regular in our house. 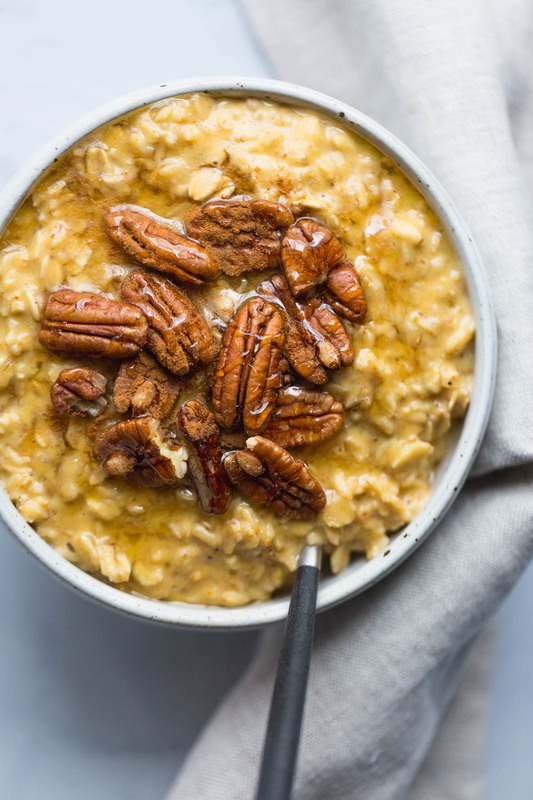 This Pumpkin Eggnog Oatmeal recipe is an easy seven-ingredient vegetarian breakfast that takes less than ten minutes to whip up. 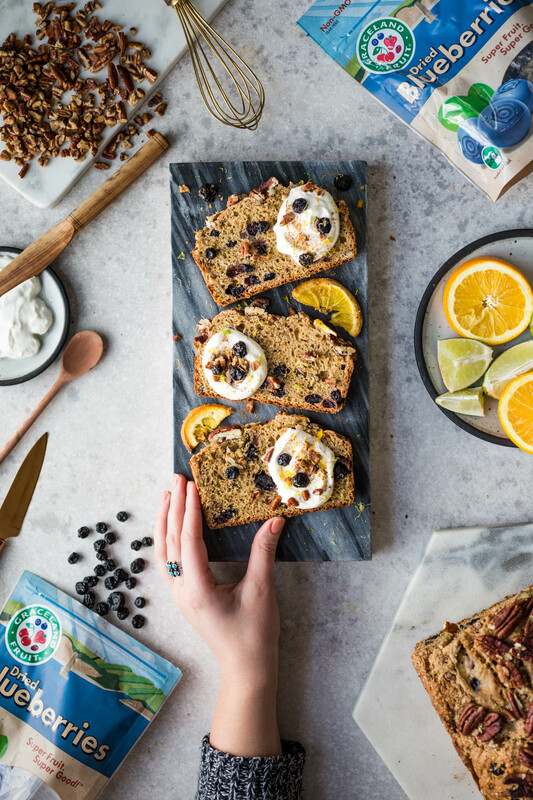 Perfect for a healthy fall breakfast before work for to serve the whole family during the holidays. It’s almost Christmas (less than a week away!) and if you are anything like me, it’s probably getting pretty busy in your neck of the woods. 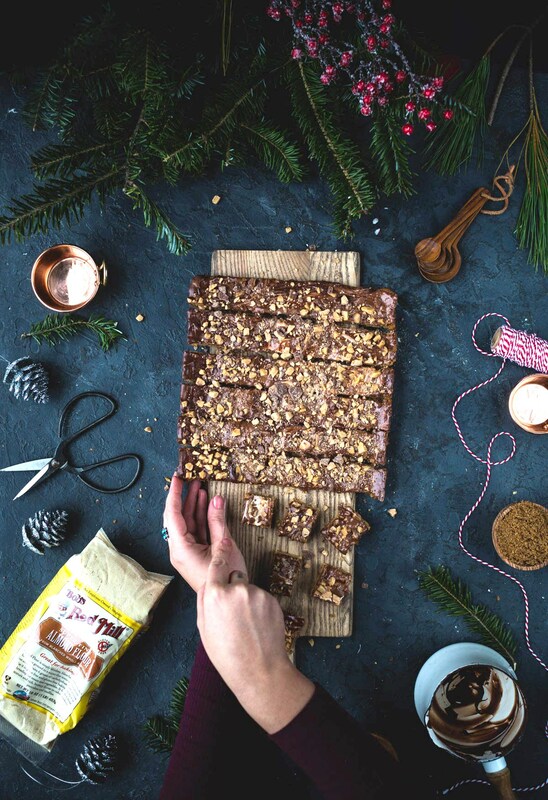 Because of that, I’m not sugar coating this recipe post with lots of ingredient photos and long winded stories about the holidays. Today’s recipe is simple and quick to keep you energized for all of your last minute tasks. While frantically running around getting last minute gifts and whipping up Christmas cookies, I seem to have forgot to buy normal everyday groceries. This recipe is the outcome of sourcing my fridge and cabinets to see what I could whip up without adventure out into the 5 degree Midwest cold. 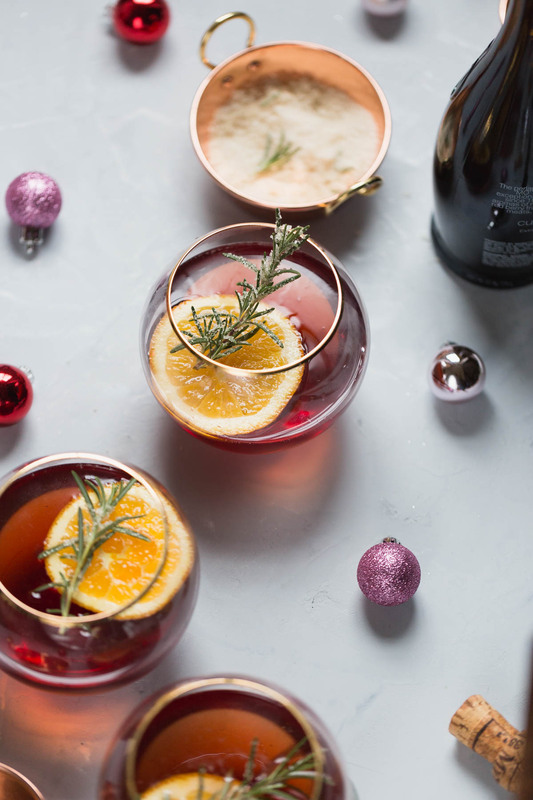 This simple two-ingredient Cranberry Orange Champagne Mimosa (plus garnish) cocktail is perfect for holiday parties or Christmas morning. Dress it up with an orange slice and candied rosemary or keep it simple with just the juice and champagne. Ever since I’ve been old enough to drink (almost a decade), it’s been a holiday tradition to wake up on Christmas day to my mom preparing a simple egg bake with lattes and tall glasses of mimosa waiting for us on the counter. We lug everything into the family room with the tree and presents and enjoy while opening gifts. These Almond Toffee Shortbread Cookies are the perfect holiday cookie to fill out your cookie tray! Made with a hefty helping of butter, almond meal, and chocolate drizzle, these cookie bars are irresistible. I’m in full-on unapologetic holiday mode. We put our beautiful tree up last weekend but it looks a bit lacking without any gifts under it. I poked and pryed at all the family members to TELL ME WHAT YOU WANT RIGHT NOW so I can rush to get the tree filled with gifts. To keep my holiday momentum from deflating while I waited for them to respond, I pulled out the fir scented candle, my big slippers, put on my favorite jazz holiday record, and headed into the kitchen for a weekend of holiday themed baking. I’ve been really obsessed with digging up family recipes these past few years (mostly because we have few and far between – besides the unspeakable jello mold that I refuse to write about – and I’m looking to change that). We have exactly 3 holiday family cookie recipes: 1 of which was always my favorite growing up and is made with an obscene amount of green food coloring (and basically taste like crunchy butter…in a good way), one of which is a chocolate pizza recipe that my mother always made for our teachers, and the last is these Almond Toffee Shortbread Cookies. My family makes two variations of this cookie recipe: the traditional one has you press the dough out onto a jello roll pan so that the dough is so thin that it crisps up like toffee and has nuts on top. Then there is the thicker shortbread version (which I made here) which yields a softer cookie and gets it’s toffee flavor from the toffee crumble on top. Both are delicious cookies but my loyalty is with the second version. 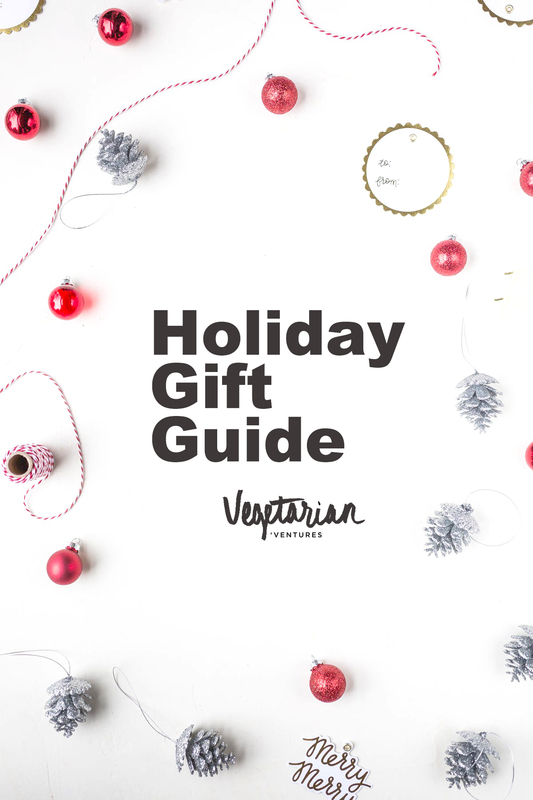 A vegetarian gift guide with holiday kitchen, home, fashion, and stocking stuffers ideas for the vegetarian in your life. And here we are again – already at the last month of the year. Seriously, 2016, where in the world did you go? 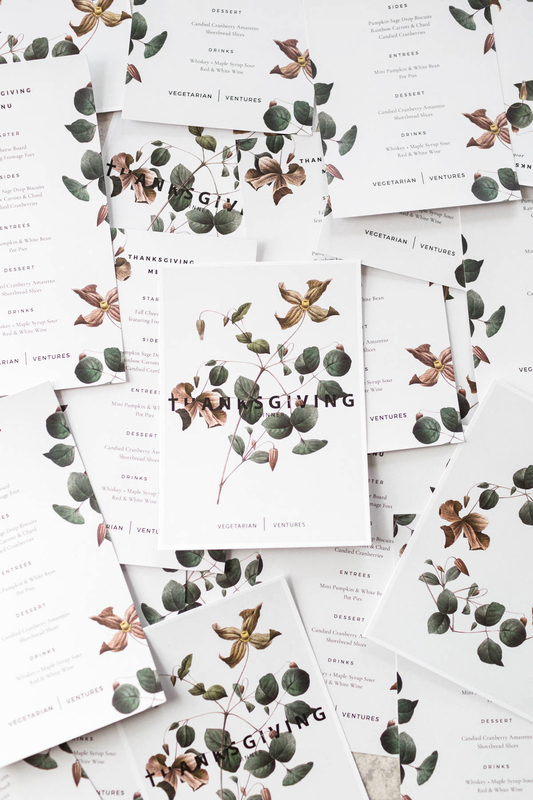 Last year’s vegetarian gift guide focused on cruelty-free brands and shopping locally. I, of course, included some of my favorite cruelty-free (read: doesn’t test on animals) brands again this year (vote with your money!) as well as favorite cookbooks for helping you thrive on a cruelty-free diet and a few favorites from small brands and makers. This post is part five of a six part series on Hosting a Vegetarian Thanksgiving. Please visit post one for the full menu and tips a hosting your own meat-free holiday. WOAH, Thanksgiving is NEXT WEEK! Are you ready? I’m ready! To be completely honest, I’ve already been rocking my Christmas playlists (eeep – don’t tell anyone!). I’m so so so ready to take a little road trip up north to hide out on my childhood couch and catch up on a few novels (in between eating, of course). I do this thing where I get so wrapped up in my head (thank you, election + work + my over growing to-do list) that the only way for me to fully reset is to get out of my environment and travel somewhere. I’m really hoping this trip next week refreshes me in that way (and so does my clenching jaw). Hoping you all have some relaxing plans for next week as well! Today’s post is all about celebrating the season with a Vegetarian Thanksgiving! Below you’ll find a Vegetarian Thanksgiving menu, vegetarian recipe suggestions, and tips and tricks for how to host your own meat-free dinner. I am so freaking excited that it is officially November 1st! This means it’s finally socially acceptable for me to begin talking to you about THANKSGIVING (sorry non-US readers as this post will be very helpful for you…)! I’m extra excited this year because I’ve spent the past few weeks working on a Vegetarian Thanksgiving menu for you. Inspired by several tabletop pieces sent to me by Bomisch, a rad home goods store run by a fellow veg head, this SIX part Vegetarian Thanksgiving series will be rolled out over the next three weeks.